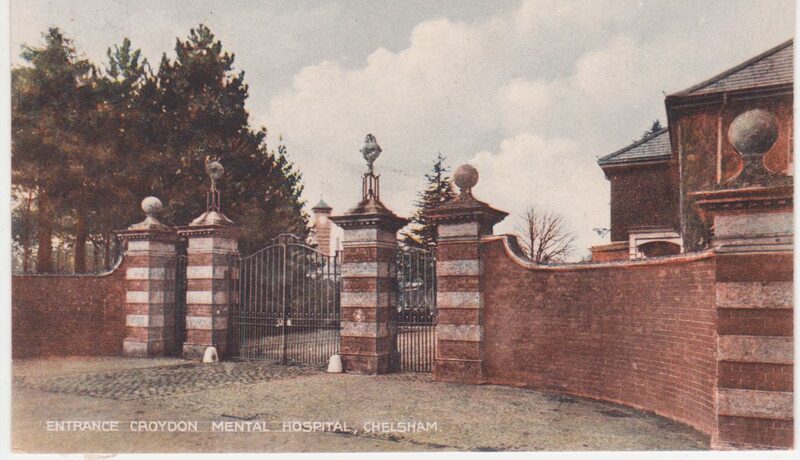 The clock tower is just visible - seen behind the high walls and the trees.In more recent days the hospital was renamed as Warlingham Park Hospital. Opened in 1903, the hospital finally closed in February 1999 and the site was turned into a housing development called Great Park. Something similar has happened to a lot of the old Mental Hospitals that were being run down in the 80s and 90s. Residents were dispersed in a switch from large institutions to smaller residential units and 'care in the community'.